Darksiders is one of the more under-appreciated franchises out there in the mainstream. The games have always been top notch stuff, but they've been too readily dismissed as "Zelda clones" and that, unfortunately, means that a lot of people have missed out on them. After THQ published the first two before going into liquidation, we were worried that we wouldn't see a return of the series. 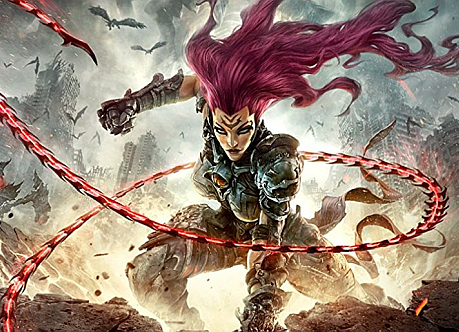 Thankfully Nordic Games (now re-branded to THQ Nordic) picked up the rights and has greenlit Darksiders III. In addition to continuing a great story focused around biblical apocalypses and the horsemen that brought it about, for the first time the series will have a female lead, and she looks awesome. The game will release on November 27, which is a brave date indeed; that puts the game right in competition with the rest of the year's biggest blockbusters in the run-up to Christmas. THQ Nordic must have a lot of faith in this one. Are you as keen as we are?